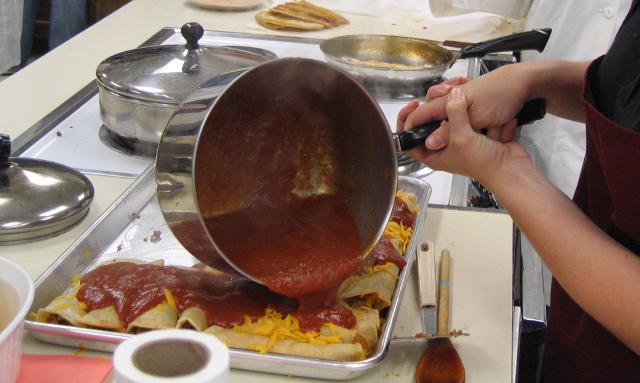 Students will create delicious enchiladas and learn about Mexican cuisine. What is the reason for frying the tortilla in oil? Are all “Mexican” foods authentic? How was the red sauce made?